Low on cash, too busy for (or already have) a job, and looking for ways to make money in college? 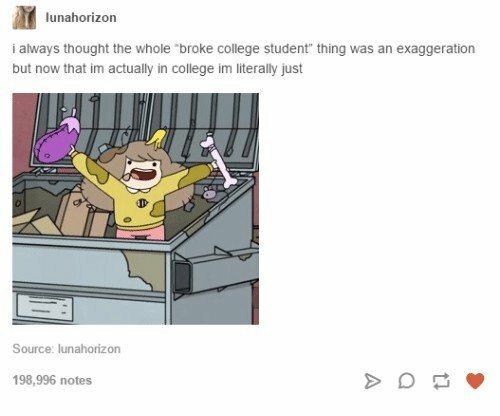 Being a broke college kid is more than just a meme, it’s an all too common reality. Being broke AF in your 20s is the norm and that’s okay. Figuring it all out takes time! It doesn’t help that college costs have risen 8 times faster than wages. 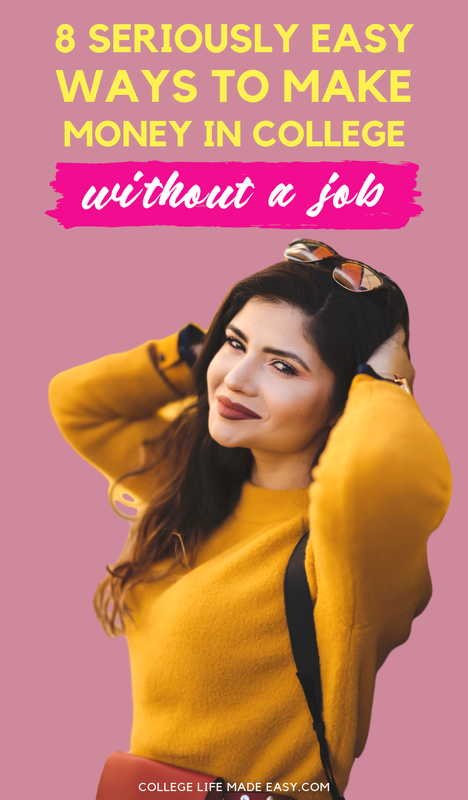 With this in mind, it’s no wonder that a large chunk of young people are always on the lookout for the latest and greatest side hustles. I know that during my college years I was just scraping by and JUMPED at any opportunity to score free food or earn extra cash. I wanted to show current students how to make money in college without a job. Many of you are already juggling a job with your studies and yet still need a little more to make ends meet. Not only does attending college eat up a ton of money, but it also takes up a great deal of time. Knowing different ways to round up extra cash that can work around your schedule is the best scenario for situations like that. In today’s post, I’ve got you covered with a list of easy ways to pad your bank account. All these money making ideas can be done whenever you have some downtime. There’s no boss to answer to and there’s definitely no time card to punch. I’ve personally utilized them all at one point or another in my young adult life. I even still use some of these methods to this day. Extra money is never a bad thing to have and these ways to ways to make money are so dead simple that I can’t justify not using them. 8 ideas for making money in college – besides the obvious! Out of all the easy ways to make money in college I have on this list, this first one has to be my favorite. Earn some easy extra dollars by using the Field Agent smartphone app (available for iOs & Andriod). I’ve made over $300 with it in just the past 3 months! And mind you, I was using the app casually. do you have to talk to people? Give it a quick read by heading to this page. The app pays you for completing small tasks in your area, such as snapping some pictures and providing feedback. If you can follow directions well, this can be a creative and lucrative way to make extra money! With Nielsen Computer & Mobile Panel you can earn $50 per year, per device for simply sharing data about your internet usage. You may have heard of Nielsen or Nielsen Ratings before as they’re one of the oldest and most reputable research companies. They want to use the information to help improve products and services offered on the internet. The good thing is that the data you share is anonymous. Since this offer is per device – if you have a smartphone, a laptop, and a tablet, that’s $150 in passive income you can earn! To get started with it you’ll just need to register and then install the app/software on the devices you want to use it with. After that, it’s set it and forget it! Compared to my other ideas for easy ways to make money in college, this one requires the least amount of effort! Still not sure and want more information about the Nielsen Computer & Mobile Panel before you decide? Check out this review of it with all the facts. Have you heard of Prolific? Prolific is an online platform that connects researchers with participants. I’ve been using it since fall 2018 and I’m really liking how much I earn with it! You’ll start by answering some screening questions. There are more than a few questions to answer, but do your best to give quality answers! This helps them determine your demographics, which in turns helps them match you with studies to participate in. The studies consist of answering questions or completing tasks online. It’s a lot like a survey website, only SO much better. Well for starters, Prolific only lets you participate in studies that you qualify for. You know that sneaky thing that some survey websites like to do where they “disqualify” you just as you’re about to finish a survey so they don’t have to pay? It’s so annoying, a waste of time, and just plain rude! They don’t employ shady business practices like that. As long as you provide quality answers by not rushing through the questions, you’ll always be paid for your time. Which is why I like using their platform so much! That the studies pay pretty well compared to how much time you spend on them. Most I’ve participated in have taken me 2-10 minutes and have paid $0.50 – $3.00. Some have been longer, but they also paid more – I received as much as $20 for one study. But the short and quick questionnaires make up the majority of them. Each available study will tell you ahead of time how much it pays and an estimate of how much time it will take you to complete. It’s really nice to have all that information upfront. The amount of studies on a given day varies. They are available on a first come, first serve basis. Sometimes you’ll get an email notifying you that they have more open slots for a particular one, but the best practice is to just visit Prolific a few times throughout the day to pick up new money-making opportunities as they pop up. My total in that screenshot doesn’t include more earnings that are still awaiting review. So after factoring that in and converting £ to $, I’ve made $154.35! That’s not bad considering I’ve only been completing Prolific studies here and there. I forgot to check the website and if I did, I know I could be making a lot more. Prolific pays British Pounds, so when you convert it to USD you’ll actually end up with a higher number for your earnings. Score! You can get paid via PayPal or Circle Pay. If you’ve never heard of Circle, it’s a digital wallet like Paypal that lets you transfer money to a bank account or debit card – fee free. The Prolific payout threshold for both is only £5, BUT the PayPal foreign currency fee is 2.9% + 20p. I recommend signing up for a Circle account (free to join & use) because there is no fee to cash out on amounts over £20. And even if you want to withdraw an amount less than that, Circle’s 1% + 10p fee is less than PayPal’s. I don’t know about you, but I definitely try to avoid fees whenever I can so I’ve always just waited until I hit that £20 marker. The goal here is making money in college and every fee (no matter how small) eats into your profits. Referral programs – an often untapped, yet worthwhile resource to add to your side hustle repertoire. Companies often offer monetary rewards or bounties when you help spread the word about their services and get new customer sign-ups. I’m not recommending you use any questionable tactics to get referral bonuses. Just by getting friends and family to sign up with your code or link you can generate some cash flow to your bank account. Most of the time you’ll both earn a reward, too. If you explain that you’re trying to hit a target number of new sign-ups to make some money, in my experience, people are often willing to help out. Root Insurance – Get $25 for getting a quote + $25 for every friend you refer. No strings attached, you do NOT need to accept the quote to get the money. Super legit & low effort way to make money in college. More details about how it works it. Acorns – Get $5 for joining + $5 for every friend you refer. For Jan. 2018 Acorns offered $1000 bonus if you referred 12 friends, so I’d watch for them to be offering something similar to that in the future. Dosh App – Get $5 for signing up + $5 for every friend you refer. To get the bonuses, you (and friends you refer) will just need to add a credit or debit card to your Dosh account. Uber Driver – Get $50 for every friend you refer that completes 25 trips within 90 days. Driving for Uber? Cash in on their referral program by getting a bonus for any friend who signs up with your link. They’ll also get $5 just for signing up. Digit app – Get $5 for signing up + $5 for each friend you refer. I’ve also seen this app offer $100 for just getting your first 3 referral sign ups! 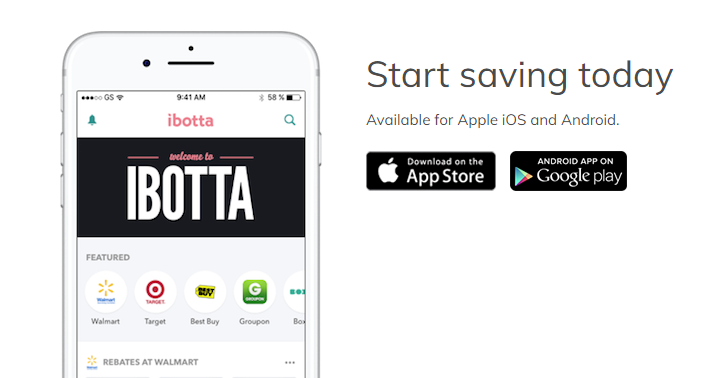 Ibotta – Get $10 for joining + $5 for every friend you refer. Unless you’ve been living under a rock – you probably know all about Ibotta. 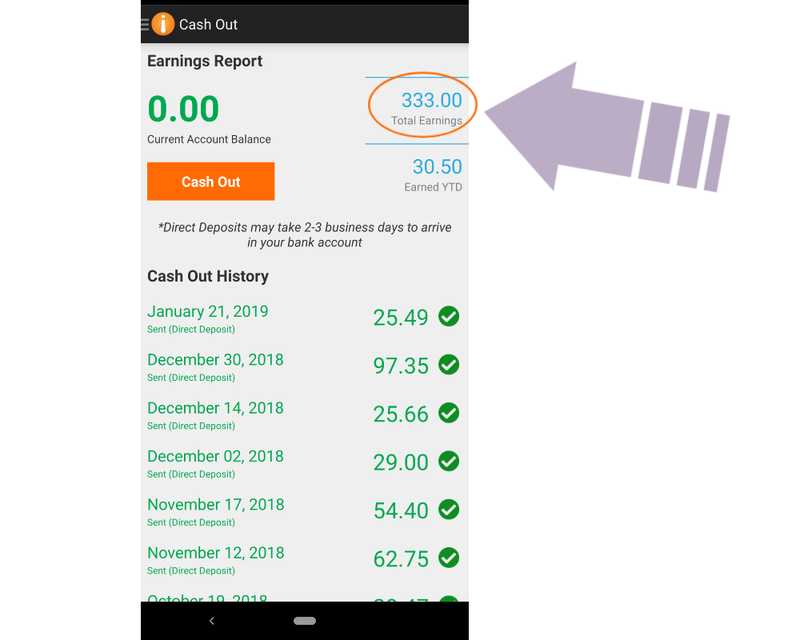 Not only can you earn referral money with it, but you can also get cash back on grocery purchases. Another one of the ways to “make” money in college is by utilizing websites and apps that offer cash back on your purchases. When you start your shopping at cash back portal, they kick you back a percentage of however much you spend. They’re super easy to use, all you do is click and go! Now, you should know that all of these websites offer a different amount of cash back. Before making any online purchases I like to start by using this tool to compare them all. Type the name of the store you’ll be shopping at in the search bar. Then the website will run a search to show you what percentage of cash back all of the available websites are offering. It’s quick to do and this allows me to maximize the amount of cash back I get! This next idea to get extra money is definitely delayed gratification. Why leave any money or other types, of reimbursement, you’re owed on the table? You can go here to see all the class action lawsuits that are currently open. If you qualify for you one you can submit a claim. By doing this, you make yourself eligible for a cash payment as compensation whenever a company has decided to settle a class action lawsuit. Some claims require proof of purchase and others do not. Remember to submit your claim ONLY if you qualify for settlement funds. By submitting your claim you’re under penalty of perjury. Submitting a false claim is not worth getting in trouble for fraud! While you’re most certainly not going to see any money right away, it’s always a welcome surprise to receive a settlement check in the mail. There are literally BILLIONS of dollars sitting unclaimed in state government offices! When a company owes someone money but can’t figure how out to get it back to that person, they turn it over to the state. The state then keeps a record of who it belongs to. Find out if you have any cash you can claim by doing a quick (& free) search with Credit Karma. Honestly, it doesn’t hurt to check and it’s easy to do. Plus, you never know what you might find! There’s some serious money to be made from recycling – especially around college campuses! 10 states have bottle deposit laws where a refundable deposit of 5¢ – 10¢ is charged at the time of purchase on recyclable beverage containers. You can make money in college with an hour or two worth of work just recycling cans and bottles. My home state, Oregon, gives you back 10¢ for every bottle returned. So for every 10 bottles recycled I earn a $1.00. If you can round up all the recyclables other students are tossing in dorm trash cans there’s the opportunity to turn a nice profit. Those are 8 of my more creative ways to make money as a college student. Let me know if you try them or if you have any more that I can add to this list! Please share this article to help out a friend or struggling student in need of money! 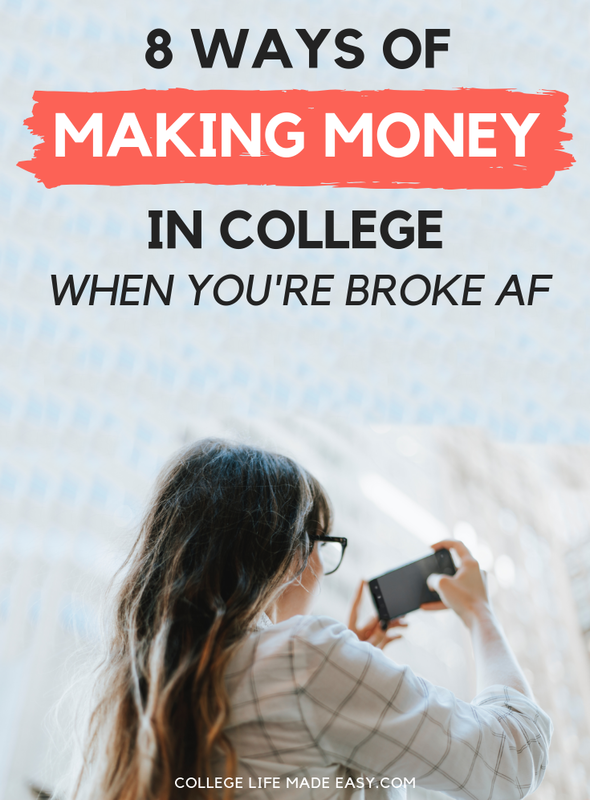 Have you used any of these ways to make money in college? thanks a lot.. I am studying in Stanford University..I think field researh will be a great idea to earn some money.. as i am agriculture student.